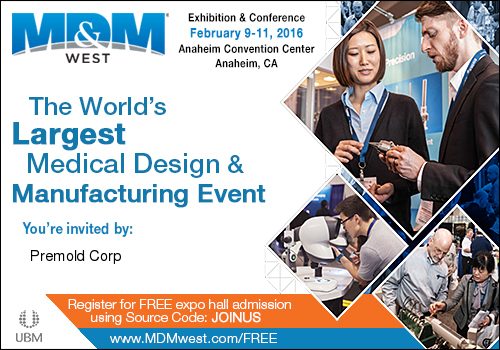 Premold Corp will be exhibiting at MD&M West in Anaheim, California February 9-11, 2016. If you have such a project see us at booth 1714 at the Anaheim Convention Center, in Anaheim, CA. We look forward to learning about your project needs.